Home Posts tagged "able linguist"
Over 100 school students will be attending on each day of the Year 8 Able Linguist Days, to be hosted by the department of Modern Languages and Linguistics at the University of Southampton on Tuesday 6th June and Wednesday 7th June 2017. These events provide Year 8 students with a chance to develop their language skills. Students will participate in an intensive mini-project in French, German or Spanish, led by student trainee language teachers, and a taster session in a new language such as Portuguese or Chinese. 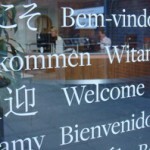 There will also be a talk about languages and how they can be useful in the world of work. We welcome all visitors to Avenue Campus this week and hope you enjoy your time with us! Continue reading"Modern Languages and Linguistics to host Year 8 Able Linguist Days"
Modern Languages is welcoming over 100 Year 8 pupils for an Able Linguists Day, taking place at Avenue Campus today, Tuesday 7th June 2016. Students will participate in a mini-project in French, German or Spanish, and will have the opportunity to try a new language such as Portuguese or Chinese, plus hear a talk about how languages are useful in the world of work. Further details about Able Linguists events can be found on the Modern Languages website. Wishing all of our visitors an enjoyable visit to Avenue Campus! 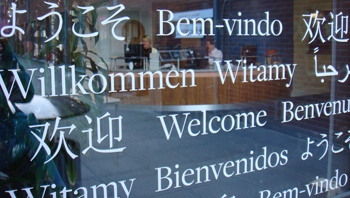 Continue reading"Modern Languages hosts Able Linguists Day"
Modern Languages will be welcoming over 250 Year 8 students to the Avenue Campus this week for two Able Linguist days, taking place on Tuesday 9th and Wednesday 10th June 2015. Students will participate in a mini-project in French, German or Spanish, and will have the opportunity to try a new language such as Portuguese or Chinese, plus hear a talk about languages about how they can be useful in the world of work. For further information about these events, visit the Routes into Languages website. Wishing all of our visitors this week an enjoyable visit to Avenue Campus! Continue reading"Modern Languages to host Year 8 Able Linguist Days"
More potential future Modern Languages students will be visiting the University on Wednesday 19th June 2013 for the Year 12 Languages Study Day, run by Modern Languages at the University of Southampton. Continue reading"More future Modern Languages students to visit the University"
More potential future Modern Languages students will be visiting the University on Tuesday 11th June 2013 for the Year 8 Able Linguists Day, run by Modern Languages at the University of Southampton. Continue reading"Future Modern Languages students to visit the University"
Languages South-East will be holding its Year 12 Able Linguist Day at the University of Southampton on Tuesday 22nd January 2013. Continue reading"More future students for Modern Languages"